So you spent your time doing research and figuring out what breed of dog you want to adopt into your family. You may have asked around, watched some videos and visited some local pet shops and adoption centers! Or maybe you simply locked eyes with your pup and knew at that very moment it was true love! 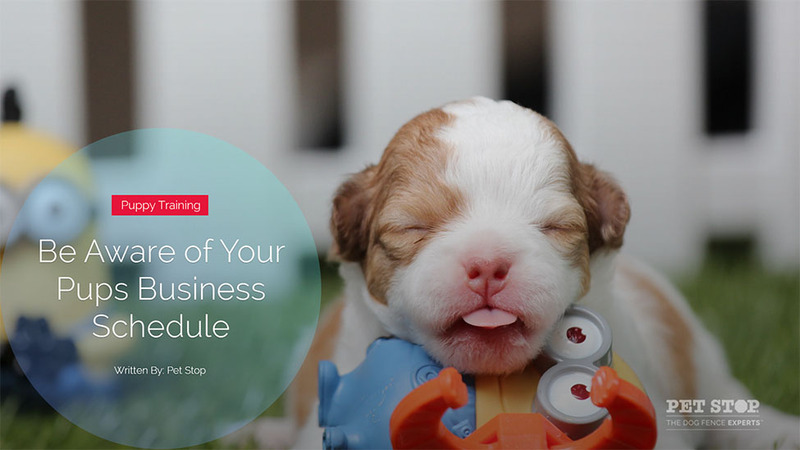 Regardless of how you came to the decision of becoming a dog owner, you’ve taken a big step. Having a dog is a very fun, rewarding and can be at times, a challenging venture. As you dive into the world of puppy blogs and websites you’ll find that there is a plethora of information to be consumed! It can get overwhelming at times, so here at Petstop we want to try and simplify things for you to make it easier and more digestible by providing you a list of the most common and helpful tips a new dog owner should learn and know about as they get ready to become a dog parenthood. These items are in no particular order so make sure you read all the way through to the end to ensure you equip yourself with as much good information as possible. While we won’t be jumping too deep into each of the tips, just know that for any of these, you can find articles upon articles of additional information going into the specifics. One of the first foundational supplies you’ll need. You’ll want to keep your pet in their cage or crate whenever you’re away while. 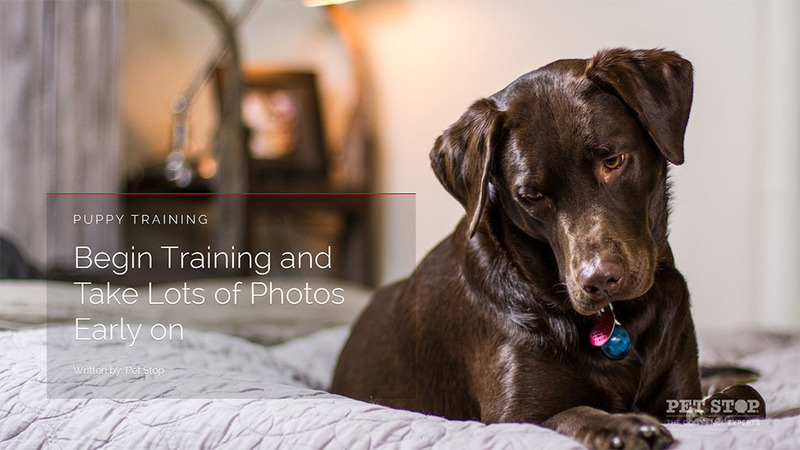 It also serves as a tool for training, disciplining and serves a place to sleep for your new pup until they get a little older and become more trained. You’ll want to prevent from your dog having free reign throughout your whole house when you first bring him home. This helps to establish boundaries and prevents any unwanted accidents or destroyed house items/furniture. 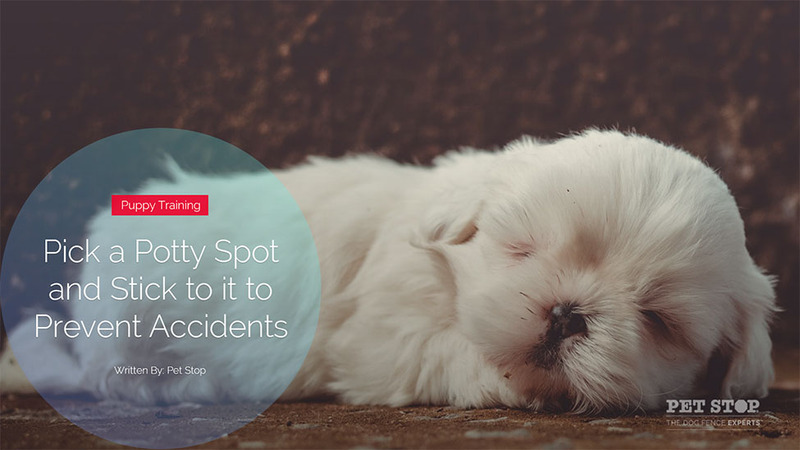 It’s smart to establish this early on so that your dog gets used doing its business in the same spot every time. Nobody likes to coming home to surprises in the kitchen or living room carpet! This is especially important if you have other people living in the home with you. Everyone should be on board with having a new pet in the family. Make sure to address everyone’s thoughts, concerns and opinions so that there’s no surprises or issues down the line. This is also a good time to identify responsibilities for walking, feeding, playing etc for your new dog. The extra guidance and support really helps speed up the training process and is a fun way for you and your pet to get out of the house and spend time with each other. Here at Pet Stop, we have several training classes that will help acclimate your new fur baby into it’s new environment with our wireless fences. Here are a few tips – It’s important to establish yourself as the Alpha early on so that you’re dog is trained properly right from the get-go. We don’t need to go too deep as to why it’s important for your dog to respect you and listen to your commands. Remember! A well-trained dog is a happy dog. They want a pack leader. Remember that dogs aren’t like humans. They’re much like babies that can’t distinguish between right, wrong or different things in the environment. They need to rewarded or punished for various behaviors for them to start learning. 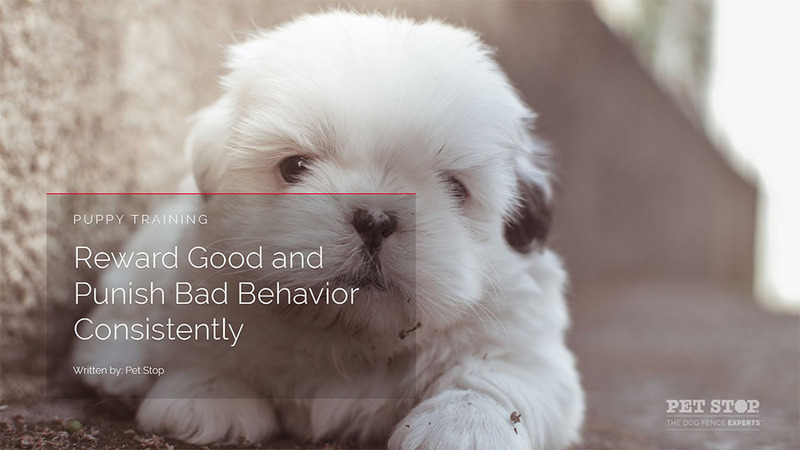 Good behavior is usually rewarded with praise and treats while bad behavior is punished with timeouts. Depending on the breed, size personality and temperament of your dog, you’ll want to get some toys that seem to be a match. Things to keep in mind are whether your dog really likes to chew on this, if you’re willing to put up the the squeaky noises that some toys have, whether they having any extra parts that could be torn off and accidentally swallowed, lights, flavors and the size of their mouth. Amazon has a great selection and you’re local pet shop owner will always be helpful in selecting a good toy for your pup. Invite friends, family and other neighboring dogs over for your pup to get to know everyone. This helps them start to get comfortable with their environment and let them explore all kinds of different people, scents and personality types. Walking, feeding, playing, bathrooms etc. This helps create routine for your pup which they crave and appreciate. It also helps create structure for your own life so that you can make sure you take care of all the important responsibilities of being a dog owner. This could be a traumatizing experience for your dog early on if your pup is still young or hasn’t been trained properly. 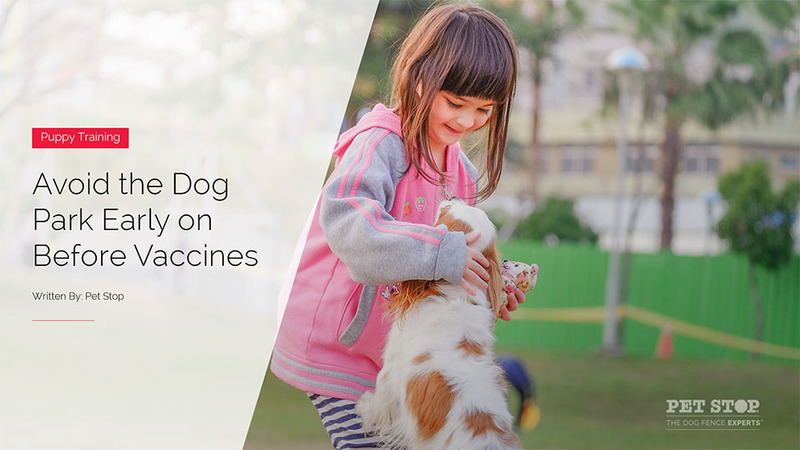 It’s also puts your puppy at risk of getting diseases if they aren’t vaccinated yet. While you might not consider this a priority, it’s the best way to ensure that you and your pup can reunited if they get lost. Trust us, you’ll be glad you took the extra step here if any accidents do occur. If he/she seems like she needs to go to the bathroom, take them! Don’t hold off. Also, while you won’t be looking forward to looking at their poop, pay close attention to ensure there isn’t any abnormal colors or blood in the stool. This could save your pups life and helps to ensure they stay in good health. This is important if there is an emergency. Not much explaining to do here. The opposite of what we see other doing right? Well here’s the reason why. When you make it a big deal before you leave or get overly excited when you come home, your dog will become more aware of the separation and time spent alone and can cause separation anxiety. The less dramatic, the less of a chance your dog will develop separation issues. There are some good tips on leash training on our blog, make sure to check those out. Ideally, you don’t want your dog ahead of you pulling on your leash. You also want them to remain calm and not get overly excited or aggressive when seeing other dogs. Learn more here. Just like humans, dogs can get bored too. It’s a good idea to keep some sort of entertainment on for your pup so they don’t feel alone in an empty, silent house. Just remember, your puppy won’t be a puppy forever! It’s only a small fraction of your time with them before they become full size and stop being little ball of awkward cuteness forever! This helps them get comfortable with grooming and also makes sure that they stay healthy through their early years. Perhaps one of the most important tips of all. Remember your dog loves you and has what seems like an unlimited supply of energy. They’ll love and appreciate you even more as an owner who takes time to play with them often while helping them release that ball of energy they carry! 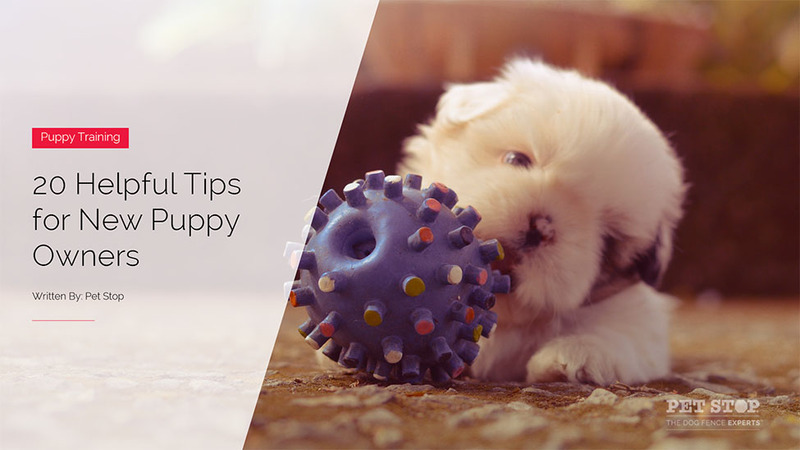 Whether you’re on your way to getting your new pup or if you’re a new dog parent of a few weeks, you’ll be sure to get some valuable tips out of this if you just apply them. Let us know if the comments section about your favorite tip we mentioned or even one that we missed!